At the beginning of March 1779, the 2nd Earl of Chatham was serving as aide-de-camp to Colonel Robert Boyd in Gibraltar. Aware, no doubt, that hostilities were brewing between Britain and Spain, he received permission to return home, touring round Spain and France on his way. 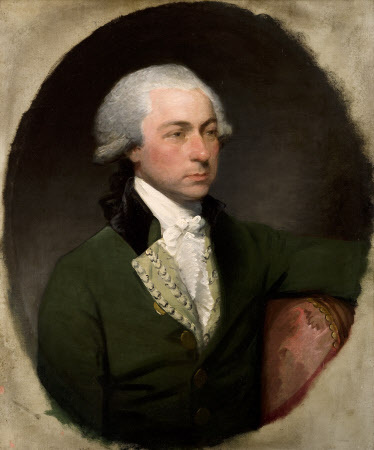 The inveterate gossip Sir Nathaniel Wraxall later recalled Chatham telling him “that he rode post the whole way from [Gibraltar] to Madrid”, a distance of over 400 miles– although it appears he journeyed to Cadiz first. Chatham spent a fortnight in Madrid, then travelled to Paris via Bordeaux. He arrived back in England at the beginning of May 1779, two months after leaving his garrison. On 6 March 1779 Thomas Townshend wrote to Chatham’s mother that Lord Grantham, the British ambassador to Madrid, was in “daily expectation of seeing L[or]d Chatham. He says, that he knows L[or]d Chatham to be on the Road with one of L[or]d Hertford’s Sons & another Officer”. Chatham was travelling with Hugh Conway (later Seymour-Conway, eventually known as Lord Hugh Seymour), a captain in the navy and later a notorious rake and close friend of the Prince of Wales. The third member of the group was Adam Colt, a captain in the 73rd Highlanders. I haven’t yet managed to find much about him, but he was very much the junior member of the group in terms of rank and importance, and seems to have been treated as little more than a glorified servant. Grantham did not have a definite arrival date for the three travellers in Madrid, but began preparing the ground diplomatically for their arrival around the first week of March. 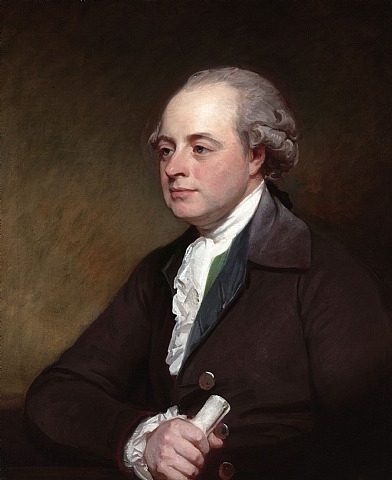 “I desired Floridablanca [the Spanish Prime Minister] to drop in Conversation … that I expected Lord Chatham &c in order that new faces & high names might create no Surprize”. Grantham himself was curious about his forthcoming visitors: he had not yet met Chatham, but obviously remembered Chatham’s father and wondered, naturally enough, what the 2nd Earl of the name would be like. They finally arrived on Thursday 25 March. “I walked out this Afternoon,” Grantham wrote to his brother Frederick Robinson, and “met three Gentlemen riding posts[.] [T]heir hats seemed to touch each other, & to make a Line across the Calle. I could not doubt their being my English & stopped them”. The young men’s enormous hats would make several reappearances in Grantham’s correspondence over the next fortnight, but for now Grantham was mainly concerned with acquainting himself at last with Conway, Colt (“young & Scottish”) and of course Chatham, whom he was surprised to find was not, in fact, Pitt the Elder in the flesh: “tall & thin, like his father but has not his Countenance”. Lord Chatham is certainly handsome, like his father, but very gentle & modest. He has an exceeding good look of Carlito Pignatelli [presumably a member of the Spanish-Italian Pignatelli dynasty]; is very well behaved & seems as far as I can judge to think & speak very right. Conway has much more vivacity, has a remarkably open Appearance … [and] is exceeding tall & stout. … Cap[tai]n Colt, is a very Cream coloured Foal as ever I saw, a mere Recruit. Grantham clearly enjoyed punning about the young Scotsman, whom he called “the Colt”: he “has never been out of the field, & is as rough as you can conceive”. Chatham seems to have been slow to open up. Grantham thought he was “rather prim”, although he “opens more than at first”, and was both “engaging & altogether interesting”. He and Conway had “inclinations to Virtue”, something Conway clearly outgrew later in his career, and both “wish to see & to learn”. He [Chatham] has donr at Gibraltar one of the handsomest & most generous Things a Man can do, he forgave a Man, who made rude Use of his Name, he paid his Debts to save him from Perdition, & took the most feeling part possible in a very delicate Situation. Chatham’s shyness (“he is reserved”) was a bit of a handicap, and Grantham was not surprised to find that he was not universally liked in the army. “It is singular what Accounts reach us from Gibraltar of L[or]d Ch[atham],” Grantham wrote cryptically to his brother. At least one source suggested Chatham was “intemperate”, although, as Grantham observed, “he has disguised it if it so, as I have seen no marks whatever of such a Disposition … If he has been intemperate at Gibraltar, I will venture to say it was from not knowing how to resist ye. Tyranny of a Toastmaster”. By this time, Grantham had spent nearly two weeks in Chatham’s company and completely warmed to him: “I confess I am very partial to him”. 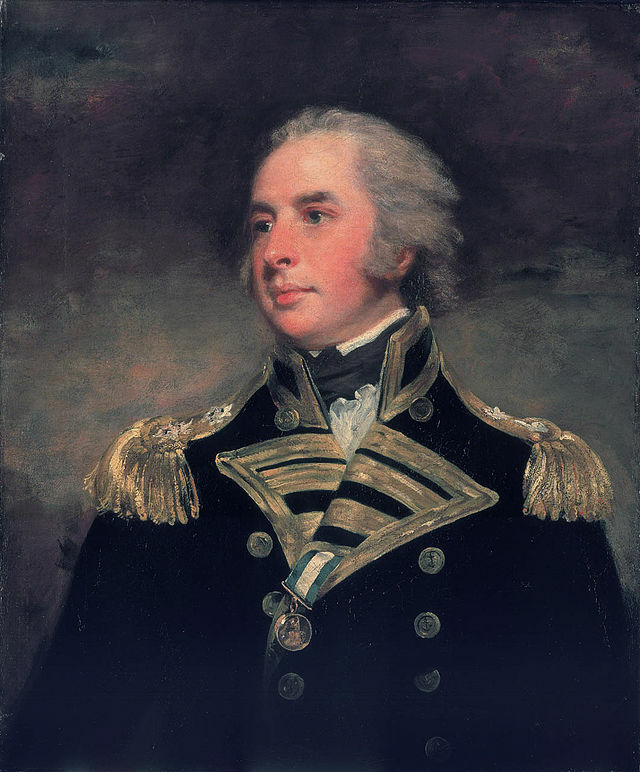 He had no doubt most of the rumours were “formed upon some narrow principle of Regimental Party”: after all, Gibraltar “is divided into Parties, & … [Chatham’s] singular Education does not decently qualify him for a Garrison Life”. All in all Grantham seems to have found Conway the best company, Chatham the quietest and most mysterious, and Colt, well, “young and Scottish”. Grantham presented the higher ranking two at the Spanish court (Colt, unfortunately, being only gentry, did not make the grade). Everywhere they went the young men attracted attention, partly, as Grantham noted, because of their “enormous hats”, but also because of who they were: “Ye. notice of Lord Chatham’s arrival, has everywhere excited much Curiosity”. 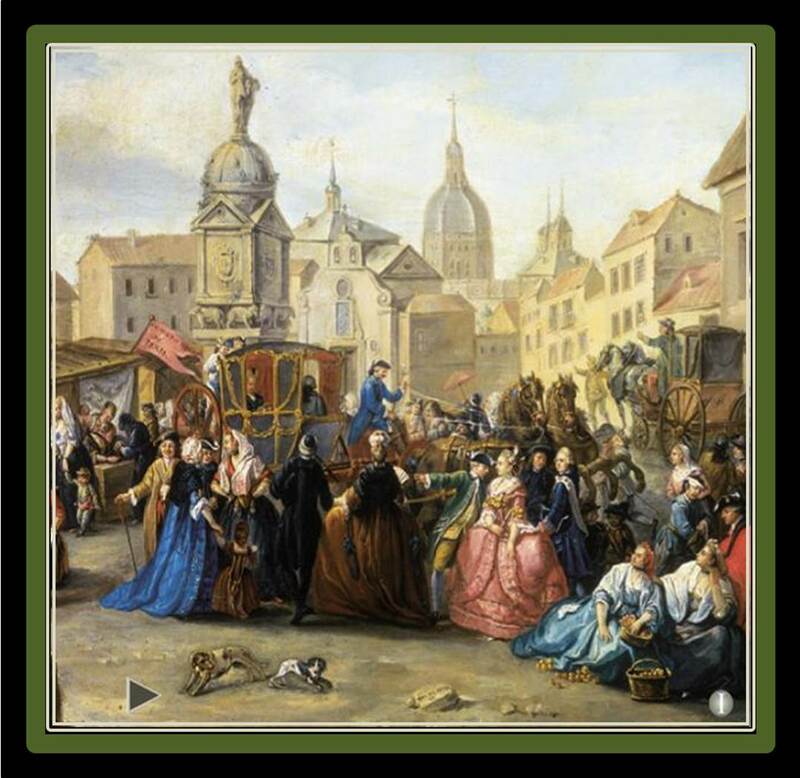 The noblemen received invitations to music parties, balls and dinners (incuding one of “one hundred & three people”), and Grantham was rushed off his feet taking them here and there, plying them with “Cold Meat & liquor” in his carriage between engagements. The boys kept him on his toes, and on one occasion he nearly “lost” Colt, who left a party early and got snarled up in Madrid’s streets. Despite this, Grantham seems to have managed to keep them largely out of trouble. 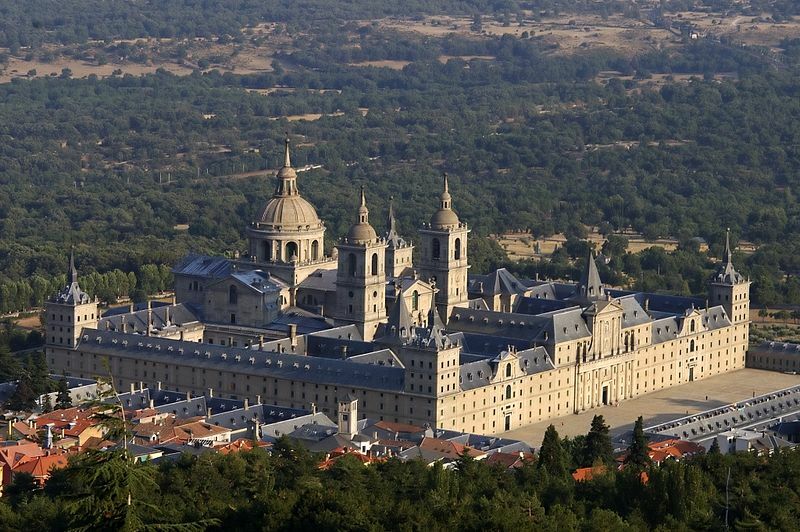 During the day Waddilove showed them the Escorial, the “Cabinet of Natural History”, and “the Academy”. The young men spent the Easter weekend in Madrid, and were therefore able to see the Maundy Thursday ritual of washing the feet of the poor. 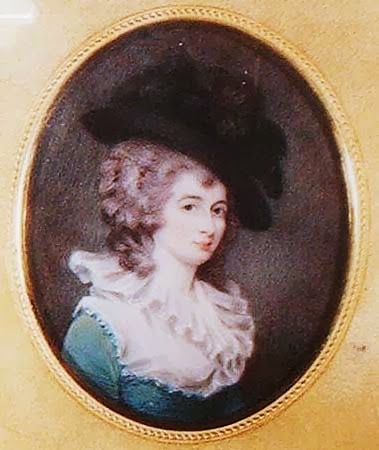 Grantham took them to a concert given by a singer named “Madame Dos”: “Colt fancies himself in Love with her, Conway is in Raptures, & Lord Chatham capable of the most sentimental Admiration”. The three young men finally left on 7 April, leaving an exhausted Grantham suffering from a terrible cold but still mourning his guests, “as they have been exceeding good Company”. Conway and Colt went their own way, both returning eventually to service in Gibraltar. Chatham, however, went northwards, carrying despatches from Grantham detailing the collapse of diplomatic relations with Spain. Chatham passed through Bordeaux, where he arrived on 18 April and made contact with Grantham’s wine merchant, John Black. He left with £100 worth of wine on credit (……….. whether he actually ever paid for it seems unlikely, so poor John Black) and went on to Paris, which Black assumed he would have reached by the 25th. Chatham landed back in England at the beginning of May and reached London late in the evening of Friday the 7th. The next day he went to visit his mother, whom he had not seen for a year, but not before delivering his despatches to Grantham’s brother Frederick Robinson, who was very curious to meet him after all he had heard: “From the little I could see of him in a short & first visit he seems to answer your descriptions of him[.] 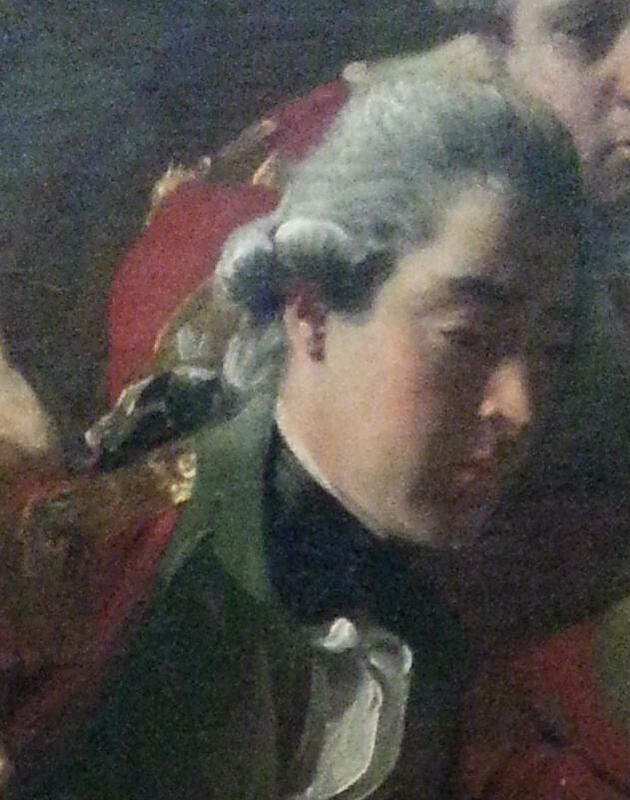 I think in his person he is a very good likeness of Camerena’s Nephews in the Spanish Guards[.] He is darker than any of his family which I have seen.” This comparison of John to dark Spaniards will surprise no-one who has seen J.S. Copley’s “Death of Lord Chatham” at the National Gallery: Copley has gone so far as to give John Chatham a noticeable five o’clock shadow. This was the end of Chatham’s immediate adventures, at least for a while. There was, however, a sequel. In January 1780 Chatham, who had transferred to the 86th Foot, was sent with his regiment to the West Indies. Grantham was desperate to make contact before he left because Chatham still owed him £150 from his visit to Madrid. It seems Chatham did leave without paying, but when Grantham wrote “to wish him a good Journey & to desire his Directions about the Money” (a not-so-subtle hint) Chatham did, eventually, order his banker Coutts to pay up. Clearly Chatham was fond of Grantham, and grateful for his Spanish hospitality, because Chatham did not very often pay his debts!